The London Korean Film Festival began today on a rather overcast and wet Thursday in Leceister Square. The festivities began with a concert by Kpop sensations SHINee. As you may have heard, the furore surrounding the group resulted in the Odeon website crashing due to demand, and even despite this the tickets were still sold out within an hour. 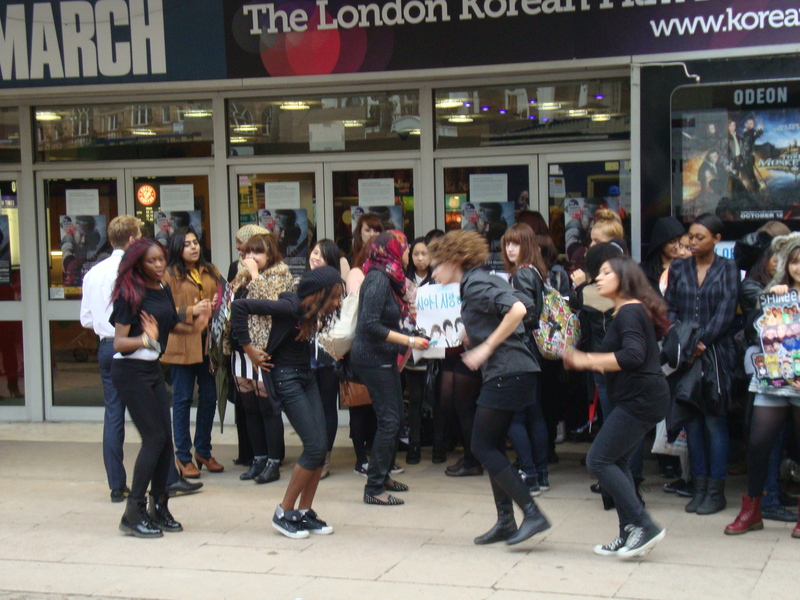 The fans were in high spirits, dancing and singing while they queued for hours. 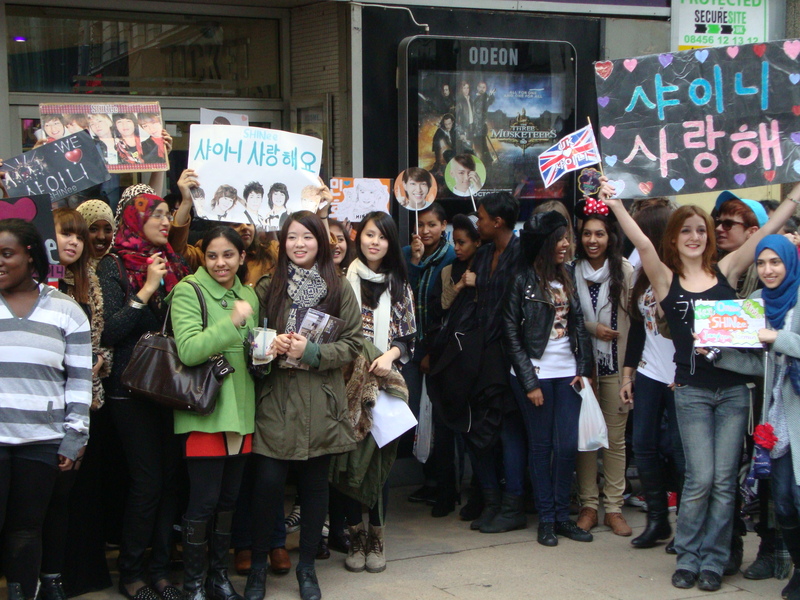 Also noteworthy was that so many people from different cultural backgrounds attended the concert, which is a testament to not only SHINee’s appeal and the influence of the Korean Wave, but London’s multiculturalism as well. After the concert, the opening gala (and European premiere) commenced. But before Arrow, The Ultimate Weapon (최종병기 활) began, SHINee joined the audience (leading to most of the girls being told to remain in their seats), and director Kim Han-min (김한민) humbly introduced his film and stated he would stay after the credits for an audience Q +A. Arrow is an action/adventure film set during the era of the Manchurian invasions of Korea. When the Manchurians attack a village and steal a bride on her wedding day, it’s up to her brother and husband-to-be to track down the soldiers and retrieve her. The film was incredibly well-received by the audience, judging by the laughter/gasps during the film and the thanks given to the director directly after. Arrow, The Ultimate Weapon (최종병기 활) is intended as the 1st in a trilogy of tales set in the 16th century. Park Hae-il (박해일) initially rejected the role of Nam-i (남이); but with persuasion from director Kim Han-min, he signed on to the film. Kim Han-min joked that thanks to his influence, Park Hae Il is now rich and famous. Kim Han-min is keen on sports, and regularly does yoga and cycling. He shot Arrow, The Ultimate Weapon (최종병기 활) within 4 months, and it debuted in Korea a month later – quite an astonishingly short time span. He admitted that he is often quite a controlling director, but with Arrow he had a wonderful team and was less so; he also plans to work with the same team again on future projects. 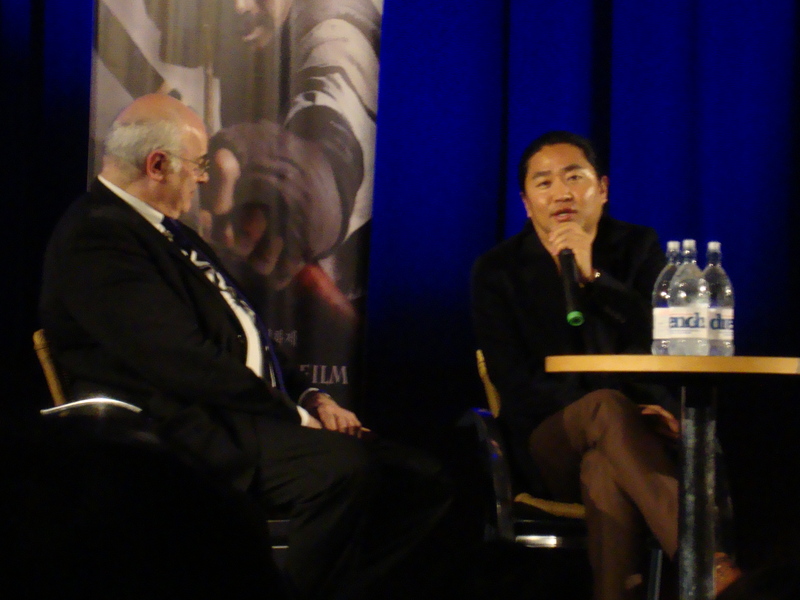 American film production companies are interested in buying the rights to Arrow, The Ultimate Weapon (최종병기 활) and re-making it set in Europe – Kim Han-min expressed his dislike of this idea, and vowed to fight it as much as he can.